Individualized growth assessment (IGA) can be used to evaluate changes in anatomical parameters over time by comparing current measurements with their expected values. 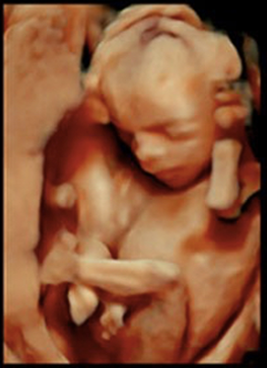 Expected values in the 3rd trimester and at birth are derived from second trimester size models that are previously established for each anatomical parameter in an individual fetus (e.g. each fetus is its own control). Individualized Growth Assessment Program (iGAP) calculates 3rd trimester predicted size trajectories and birth characteristics. The software provides graphic displays and quantitative comparisons between actual and predicted measurements. Results are provided for both individual and combined anatomical parameters. The growth potential of each fetus is empirically determined as part of this analysis for a personalized assessment of fetal growth and neonatal growth outcome. Clinical iGAP Most users will find Clinical iGAP to be adequate for evaluating fetal growth on an individualized basis. Research iGAP Others may have a need to organize one or more fetal growth projects that require secure team collaboration. To facilitate IGA research, the Research iGAP version allows specification of fetal groups for analysis and permits export of single parameter data. Another advanced option permits development of new composite prenatal growth assessment scores (cPGAS). Deter RL, Levytska K, Lee W, Melamed N, Kingdom JCP. Classifying neonatal growth outcomes: Use of birth weight, placental evaluation and individualized growth assessment. J Matern Fetal Neonatal Med. 2016; 29: 3939-3949. Deter RL, Lee W, Kingdom JCP, Romero R. Fetal growth pathology score: A novel ultrasound parameter for individualized assessment of third trimester growth abnormalities. J Matern Fetal Neonatal Med. 2017 (published online). Deter RL, Lee W, Kingdom JCP, Sangi-Haghpeykar H, Romero R. Third trimester growth restriction patterns: Individualized assessment using a Fetal Growth Pathology Score. J Matern-Fetal Neonatal. Med. 2018; 31:2155-2163. Deter RL, Lee W, Kingdom JCP, Romero R. Second trimester growth velocities: Assessment of fetal growth potential in SGA singletons. J Matern-Fetal Neonatal Med 2019; 32: 939-946. For questions and suggestions regarding this site, please contact Office of Research IT.